In the area of responsibility of Ukraine’s “Pivnich” (North) operational-tactic command Russia-backed militants fired upon the Ukrainian troops’ positions from heavy machine guns near Vilnyi village (khutir). 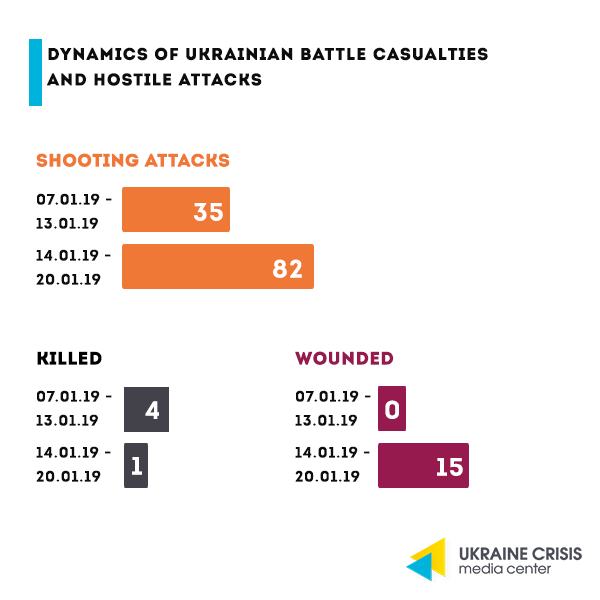 In the area of responsibility of the “Skhid” (East) operational-tactic group of the Ukrainian troops Russian proxies fired upon the Ukrainian troops’ positions in the area of Hnutove from automatic grenade launchers, heavy machine guns and small arms. Joint Forces also recorded the work of a hostile sniper. Ukrainian troops keep controlling the adversary on the contact line, completely adhering to ceasefire. Will there be an international monitoring mission in the Kerch Strait? Following the escalation in the Azov Sea and in the Kerch Strait in the second half of 2018 that resulted in direct aggression by the Russian Federation on November 25, it has become crucial that there’s international control over the situation. The idea was voiced for the first time in early December 2018. Germany’s Foreign Affairs Minister Heiko Maas made a visit to the Russian Federation and Ukraine. Several statements that followed after the visits shed light on the state of play of negotiations regarding the possible mission. Is the mission’s concept ready? Ukraine’s Foreign Affairs Minister Pavlo Klimkin said that the concept of the joint OSCE-UN mission in Donbas is drafted, it is being discussed. “OSCE representatives prepared a concept of the joint mission (OSCE and UN), it is now being discussed (…). It may surely be (deployed) under the UN aegis, but it may well be (deployed) based on the actual OSCE presence in Donbas, a joint one,” Minister Klimkin said at the joint press conference with Germany’s Foreign Affairs Minister Maas in Kyiv last week answering the question on the possibility of establishing a joint OSCE-UN mission in Donbas. Ukraine’s position: mission approval. 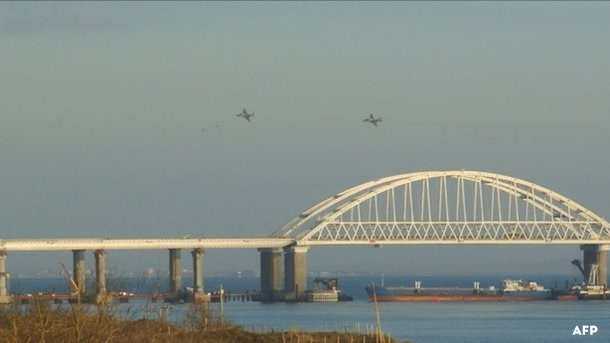 Ukraine welcomes a possible international mission in the Kerch Strait while taking into account that it might be manipulated by Russia, Ukraine’s Foreign Affairs Minister Klimkin said. “If the international presence here is going to help us, and they (the Russian authorities) will not be manipulating it, we definitely welcome it and it should be established,” Ukraine’s Foreign Affairs Minister said at the press-conference in Kyiv last week organized to draw the conclusions of the Foreign Affairs Ministry’s activities. The Minister was commenting on the information that Germany and France could possibly become guarantors of maritime navigation in the Kerch Strait, and the Russian Federation has agreed to it. Minister Klimkin said he hopes the German partners had fruitful negotiations with representatives of the Russian Federation. Putin agreed to let the German and French access the Kerch Strait. The President of the Russian Federation Vladimir Putin agreed to the suggestion by the German Chancellor Angela Merkel to let the German and French experts access the Kerch Strait, the Foreign Affairs Minister of the Russian Federation Sergei Lavrov said. “Over a month ago Chancellor Merkel asked President Putin to let the German experts come to the Kerch Strait area and see how the passage through these waters is made, so that security measures are respected. And President Putin agreed,” Lavrov said at the press-conference that came as a wrap-up of his negotiations with the German Foreign Affairs Minister Heiko Maas. He added that Merkel later asked for the German experts to come with their French counterparts, and Putin agreed to that too. The state of play of the agreements. To introduce monitoring in the Kerch Strait both the Ukrainian and the Russian side need to give their consent, but the issue has not progressed much, said Minister Maas at the joint press-conference with his Ukrainian colleague Pavlo Klimkin in Kyiv. Maas came to the Ukrainian capital right after his visit to Moscow where he discussed Ukraine with the Russian Foreign Affairs Minister Lavrov. All sides need to give their consent (for establishing of the monitoring mission), Minister Maas said. Investigation discovers Zelenskyi has a business in Russia. 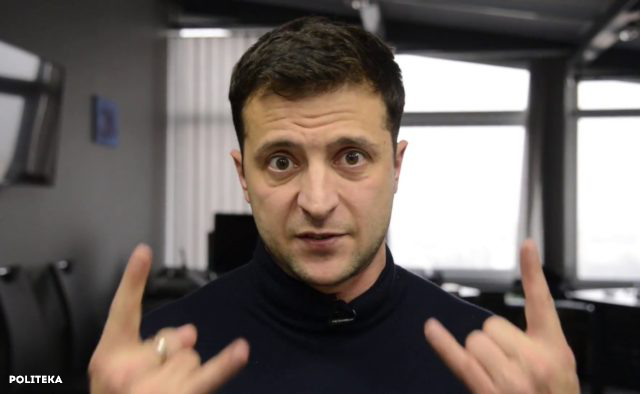 Showman Volodymyr Zelenskyi who is running for President has a film production business in Russia despite his statements that he had closed it down back in 2014, an investigation by the “Skhemy” (Schemes) program – a joint project by Radio Liberty (Radio Svoboda) and “UA: Pershyi” public TV channel found.According to the investigation three Russian companies “Viceberg Pictures”, “Platinum Film” and “Green Film” produce films, TV and video content. “All three companies are founded by the Cyprus-based company Green Family Ltd. The same company is a co-founder of ‘Kvartal 95’ LLC in Ukraine, its final beneficiaries are Volodymyr Zelenskyi, his business partners Andriy Yakovlev, Borys and Serhiy Shefir and Ihor Kolomoyskyi’s crony Tymur Mindych,” the investigation reveals. Zelenskyi answers. In an interview to Ukrainian media “Ukrainska Pravda” Volodymyr Zelenskyi admitted that the “Green Films” company of the Cyprus-based group of companies “Green Family Ltd.” that he co-owns, continues its operations in Russia. Responding to the journalist’s comment that “Green Films” is producing the film “Vniz” (Downward) and applied for the film’s state financing in Russia, Zelenskyi said that the application was filed by “those who run the company” in the Russian Federation and that the company had been passed on for the external management. He explained that “Kvartal 95” is getting royalty from all products produced prior to 2014. Zelenskyi quoted the example of “Svaty” (Parents-in-law) project that had a contract signed prior to the war with Russia. “The contract was signed 10 years ago. How can I close down this company? The contract is valid until 2021. From 2011 till 2021 we are getting royalty from ‘Svaty’. We are getting this money. What should we do? Close it down? Gift Russians our money? No way,” he said. Zelenskyi also reassures that he will soon leave the beneficiaries’ list of the Cyprus-based company that owns the film production company in Russia. “My decision is as follows, it is very simple and resolves everything. I realized that I may quit not the company that is there (in Russia – edit.) but the Cyprus-based company that owns them. That’s it. We have found this solution today and I will leave it in the nearest time,” the showman said. Political parties keep nominating their candidates to run for the post of the President of Ukraine. The Opposition Bloc presented Oleksandr Vilkul as their candidate, Syla Lyudey (People’s Power) party – former journalist Dmytro Gnap, Osnova (Basis) party – Serhiy Taruta, Ukraine’s Socialist Party – Illya Kiva. Ukraine is one of the world’s top 10 producers of dairy products. 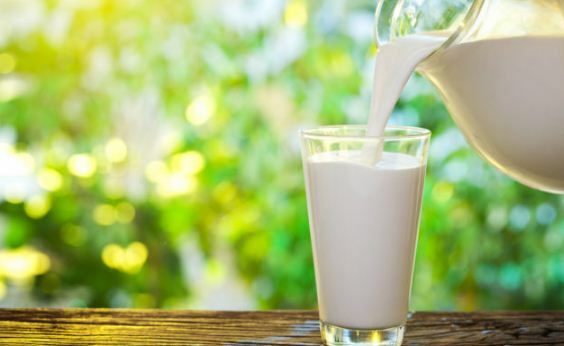 For the first time over the past years Ukraine entered the top 10 list of the world leaders – exporters of dairy products, said Deputy Minister of Agricultural Policy and Food Olena Kovalyova at the meeting with representatives of the Association of dairy producers of Ukraine “Ukrmolprom”. “For the first time over the past years Ukraine entered the top 10 list of the world leaders – exporters of dairy products,” Kovalyova said. “Our 2018 data demonstrates that the overall amount of dairy products sold constitutes about UAH 57 billion (approx. USD 2 billion), while the overall export will amount to over UAH 7 billion (approx. USD 250 million), the Deputy Minister said. Economic risk analysis for 2019 by the National Bank. Ukraine’s National Bank released a list of key risks that will represent a threat to Ukraine’s economic development and to the key results’ achievement by the Bank in 2019. The National Bank split the risks to the economy into external and internal ones. External risks include the Russian military aggression as well as the blockade of the Ukrainian ports in the Azov Sea by the Russian Federation. Among the external risks named by the National Bank are the trade wars waged between the largest world’s economies. The internal risks include the upcoming presidential and parliamentary elections as well as worsening of inflation expectations that are linked to them. Of concern is also the dynamics of the labor migration from Ukraine enhanced by the visa-free regime with the EU as well as the new regulations to be introduced by the governments of the Czech Republic and Germany to simplify the employment conditions for foreign nationals.